Everything tastes better with bacon... ?? Pinkerton seemed to elude me. The first time I thought I had the chance to try out this brand was when I saw that it was being offered at Hai Chix and Steaks. Unfortunately, they were, at that time, out of stock. 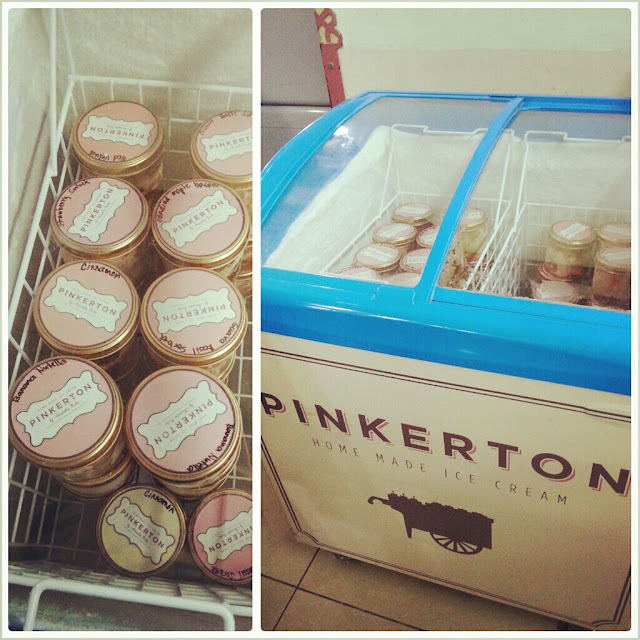 When I had recently dined at East in Rustan's Makati, I failed to try out Pinkerton as well, and with good reason. I've been hankering for Bono for weeks, and I wasn't about to let anything get in the way. Finally, the ice cream gods must have took pity on me, for while queueing at Rustan's Supermarket in Rockwell, I saw Pinkerton's small chest freezer by one of the checkout counters. I giddily scanned the available flavors, on the lookout for the Dulce de Leche Sea Salt. It looked as if the gods were teasing me, as there was none to be found. After a short internal debate, I settled on the Candied Maple Bacon, thinking that I could still get that sweet-salty fix. Oh, it was sweet and salty alright, but not the good, balanced kind. The first bite hit me with too much bacon bits, and as I slowly swirled the frozen dessert around my palate, the base tasted like butter -- cold butter. I wanted it to satiate my hunger for some soothing coldness, and I got none of that. Instead of revivifying, like what I expected an ice cream would and should, it just made me ache for some ice-cold water, and fast. Apparently, not everything tastes better with bacon. And with the heat threatening to keep my body temperature high and my temper short, this wasn't helping to cool me down one bit. I'm still not giving up on Pinkerton, though. I believe they have a flavor or two that I would love. Maybe I'll get the Mango Basil Sorbet next time, or I hope they would have the Dulce de Leche Sea Salt. Keeping my fingers crossed! 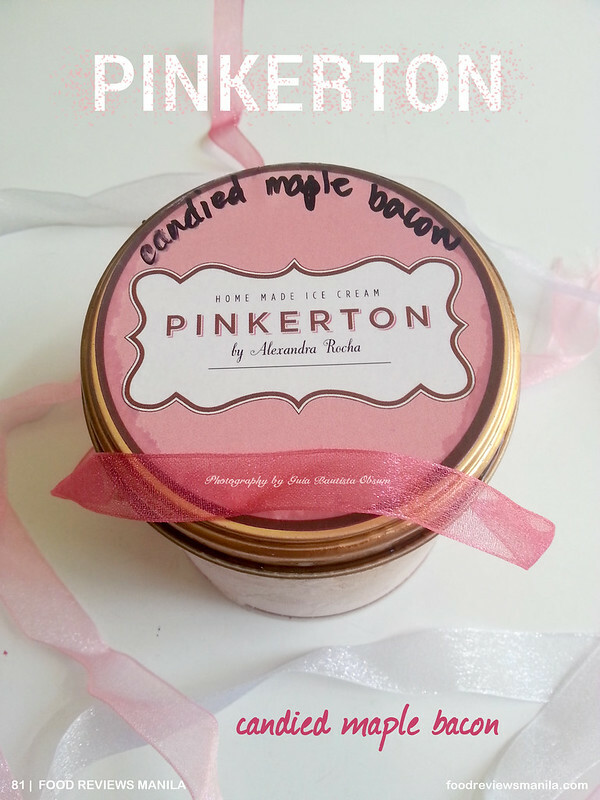 Can somebody please tell me a good flavor of Pinkerton? Can't imagine bacon bits in my ice cream but I think this is a must try. Thanks for sharing. You might want to try the candied maple bacon ice cream served on top of warm waffles or pancakes for a change... it really was made for bacon lovers. 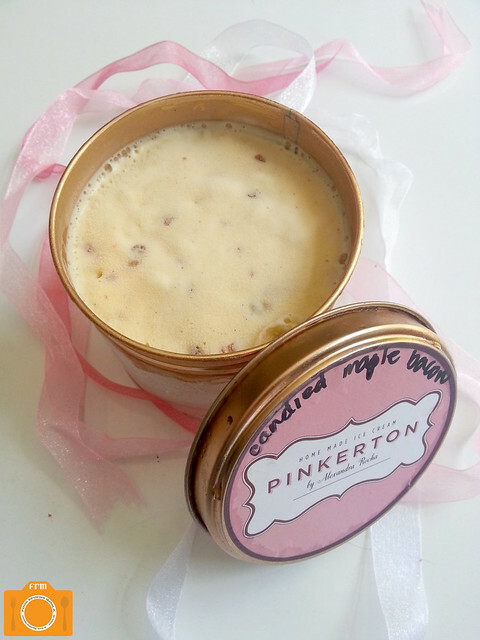 Pinkerton does not like skimping on their ingredients, hence a lot of bacon... shared this flavor with friends and family and they all loved it! especially over waffles! yummy!